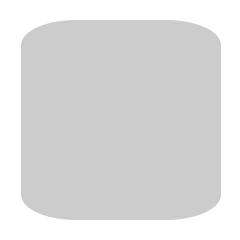 What could I possibly say about the CSS3 border-radius property that hasn’t been said before? Well, I can’t claim that anything I’ll be saying in this article will be completely new to anyone who regularly reads articles covering front-end technologies. Sometimes, however, the apparent simplicity of a particular CSS3 property might blind us to the fact that there can be a whole lot more going on than we think. That’s exactly what this short article will help to establish—specifically in relation to the border-radius property. But don’t worry—I’ll go through this carefully, covering some border-radius basics first, to ease into the discussion. Before I get into the meat of things, I’m happy to announce that I’ve recently had the privilege of co-authoring an exciting new book project published by SitePoint. It’s called HTML5 and CSS3 for the Real World and is scheduled for a late May launch. Naturally, border-radius will be covered in that upcoming book, but I thought it would be nice to expand on that topic here and provide a little extra for those interested in delving into some of the finer points associated with this property. The values start with the top-left and move clockwise. In that last example, although I’ve omitted the value for the bottom-left corner, the bottom-left corner will inherit its radius value from the one specified for top-right (the second value). Similarly, if you omitted the third and fourth values, then the third value (bottom-right) would inherit from the first (top-left). Pretty simple. And I’ll bet you already knew all of that, didn’t you? Now, let’s bring in a little complexity so we can really get to know this CSS3 property. Because the standard way of declaring the border-radius values (discussed above) has become so widespread, you may not be aware of an alternative syntax for this property. Below is an image of what the element looks like with the above syntax, and with dimensions of 200px by 200px and a gray background. Bear in mind, a CSS3-capable browser would be required to see the HTML rendition. The slash-based syntax might be a difficult thing to wrap your mind around, so let’s examine how the syntax relates to what’s happening to the shape of the corners on that element. According to the spec, the values you give the border-radius property “define the radii of a quarter ellipse that defines the shape of the corner of the outer border edge.” Thus, if you add the full ellipse (as I’ve done above), you’ll see exactly how the radii are calculated. In the image, I’ve drawn arrows indicating the horizontal and vertical radii (marked with “H” and “V”). Keep in mind that because of pixelation (in the original and the blown up version), this can’t be an exact science; that would be something more appropriate when dealing with vector-based shapes. Of course, the slash-based syntax is not just limited to two values; if you wish, you can set specific vertical and horizontal radius values for each corner of the element. The values before the slash represent the horizontal radii for the top-left, top-right, bottom-right, and bottom-left corners, respectively. The values after the slash represent the vertical radii for those same corners, in that order. And of course, similar to the traditional syntax, you can omit one or two values from before or after the slash, and the missing values will inherit from the existing ones. Notice that this time there is no slash used. In this case, the two space-separated values on each line represent the horizontal and vertical radii, respectively, for the given corner. When Should This Syntax Be Used? It should be noted that this syntax to target vertical and horizontal radius values for each corner would only be used if you want the vertical and horizontal radius values on a single corner to differ from one another. That means you would not need to use this syntax if you want equal horizontal and vertical radius values for each corner. Significantly, you could also employ this syntax when changing radius values via scripting. Thus, when used appropriately, this could open the door for some interesting animations using transitions or keyframe-based animations. So in most—if not all—cases, you can stick to the traditional syntax, and only use the syntax described here if you want one or more nonsymmetrical rounded corners. Even so, this information should be enough for you to want to experiment a little further with this otherwise well-known CSS3 property.